Rovema North America today opened registration for an upcoming webinar “Preparing for CPG Shelf Ready Packaging.” The webinar will be held on September 19th from 1-2pm EST - in advance of PackExpo to provide insights to assist CPG production teams who have SRP projects on their list of topics to discuss with vendors at the show. John Panaseny of Rovema North America will be joined by Chet Rutledge of Vanguard Packaging and the pair will discuss CPG transitions from organizational, equipment and materials perspectives. Shelf ready packaging was a frequent topic of North American visitors to Interpack and interest has increased in the meantime. “We anticipate a lot of conversations about SRP packaging transitions with CPG production teams at PackExpo Las Vegas” commented John Panaseny, CEO of Rovema NA. “Based on our years of machine experience with SRP in Europe, we’re ready. We’re running this webinar to help teams prepare for those show discussions and to bring together expert perspectives in advance.” he continued. 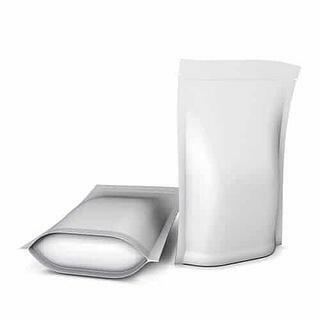 Rovema North America, a wholly owned subsidiary of Rovema GmbH, has extensive experience with SRP end of line packaging which has been common in Europe for a number of years already. Labor costs, small footprints and retail aesthetics and economics contributed to earlier adoption of SRP in European grocery stores. Both Panaseny and Rutledge will be available at PackExpo Las Vegas to discuss current and future shelf ready packaging requirements. As retail buyers extend the range of product categories for which they’re requiring SRP solutions, more and more process, packaging and systems engineering teams are fielding requirements from their sales & merchandising counterparts. PackExpo will provide a perfect opportunity to bring experts from the CPG team, machine builders and insightful corrugated and paperboard suppliers together to discuss requirements and apply insights from successful past implementations to prepare for planned transitions. This pre show shelf ready packaging webinar will help teams prepare questions, concerns and integration challenges for discussion in Las Vegas. The Shelf Ready Packaging webinar is free to attend but space is limited and registration is required. Those wishing to attend should do so by clicking here and please share the URL with their colleagues on SRP planning and implementation teams. About Rovema North America, Inc. - Rovema NA is a wholly owned subsidiary of Rovema GmbH. With over 1,100 machines installed in North America we’re fully committed to the ongoing support of our machines. Although occasionally certain drive or control components are obsoleted by our suppliers, we provide all available parts and ongoing technical support for any operating Rovema machine. Our team in Norcross is focused on combining German quality & engineering with American market awareness and responsiveness. All our machines are built under a single roof (not a global master brand) and we’re aggressively building our staff to meet growing demand. Vanguard Packaging is a full service designer and manufacturer of corrugated displays, retail packaging, signage and industrial packaging. Vanguard is headquartered in a 700,000 square feet underground facility in Kansas City and is known nationally for its leadership role in sustainability previously having earned the Sustainability Innovator of the Year Award for North America. Vanguard offers a full range of products and services for those retail vendors who require shelf ready packaging. Options will not only include custom designed packaging solutions but case erecting and case fill equipment, testing and licensing of patented shelf ready designs. Vanguard can also act as a consultant for CPG companies with existing packaging contracts. These services are available nationwide from offices in Bentonville, Kansas City, St Louis and Phoenix. For further information, please contact Chet Rutledge at cwrutledge@vanguardpkg.com.